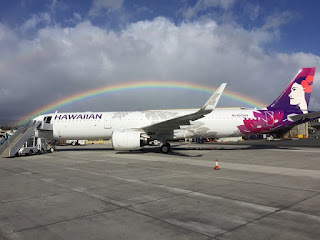 Hawaiian Airlines last week marked delivery of its first Airbus A321neo aircraft, powered by revolutionary Pratt & Whitney Geared Turbofan (GTF) engines, with a ceremony at its headquarters at Honolulu International Airport. The airline will be the first GTF operator to utilize the aircraft's 180-minute Extended Range Operations (ETOPS) certification, as well as the first airline in the United States to fly the GTF-powered Airbus A321neo. "We've been powering aircraft at Hawaiian since 1929 and we appreciate the continued confidence in Pratt & Whitney," said Chris Calio, president, commercial engines at Pratt & Whitney. 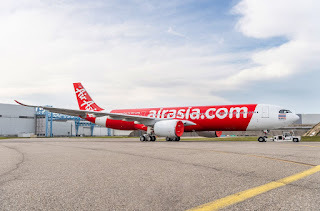 "From the Wasp-powered Bellanca CH-300 Pacemaker to the PW4000-powered Boeing 767 to the GTF-powered A321neo, we're honoured to continue the tradition." "The GTF engine and A321neo are part of our continuing commitment to invest in new technology that improves operational efficiency and shrinks our environmental footprint," said Mark Dunkerley, president and CEO at Hawaiian Airlines. "We're looking forward to serving our passengers with this ultra-quiet engine and aircraft."